Gluten-Free the way it’s meant to be. Goodness without the gluten! Gluten sensitivity and celiac disease can go hand-in-hand with delicious baked goods, from cakes to muffin to bread! We’re here to show you how to enjoy all the foods you love without gluten (and without compromising on flavor or texture). 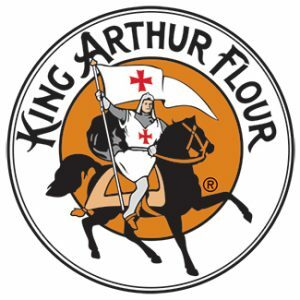 King Arthur is America’s best-loved, and oldest, flour company with over 225 years of experience as the expert resource for bakers. We’re 100% employee-owned, too! Our company is made up of passionate bakers—many of whom are gluten-free, or bake regularly for gluten-free friends and family. So we’ve perfected the art of gluten-free baking. From our excellent, award-winning mixes (https://www.kingarthurflour.com/products/gluten-free-mixes/) to our certified gluten-free flours, we carry everything you need to bake your very best. Wondering how to substitute gluten-free flour in a conventional or favorite family recipe? Not sure how to find the perfect gluten-free chocolate cake recipe? We’ve got you covered. From step-by-step articles on our most popular gluten-free recipes, to guides (http://www.kingarthurflour.com/guides/gluten-free/) on gluten-free baking, to videos and inspiration, we’ll be there with you in the kitchen to ensure success.